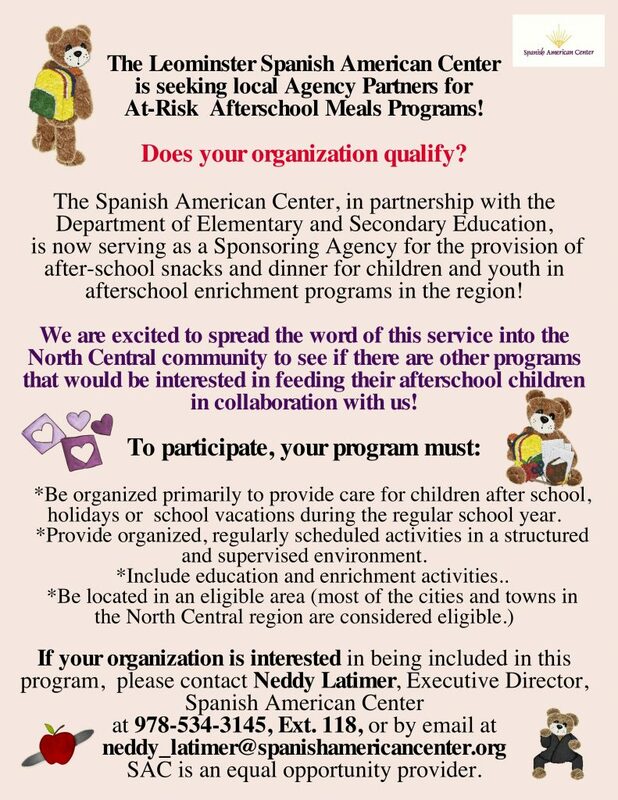 The Spanish-American Center is pleased to announce the development/expansion of our community nutrition programs to now include several after-school meal and healthy supplemental snack sites. The six local agencies/sites are: Cleghorn Neighborhood Center, 2 Taekwondo sites (Leominster and Fitchburg), MOC (Montachusett Opportunity Council) Homework Help Center at Green Acres, MOC Family Resource Center and the YMCA in Leominster, plus our own aftter-school Crossroads program. 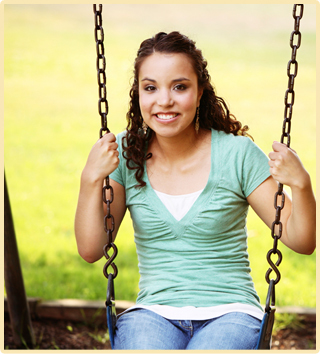 “CACFP provides aid to child and adult care institutions and family or group day care homes for the provision of nutritious foods that contribute to the wellness, healthy growth, and development of young children, and the health and wellness of older adults and chronically impaired disabled persons.CACFP is a federally-funded program administered by States. Through CACFP, more than 3.3 million children and 120,000 adults receive nutritious meals and snacks each day as part of the day care they receive. ” (Source USDA CACFP Web Page). 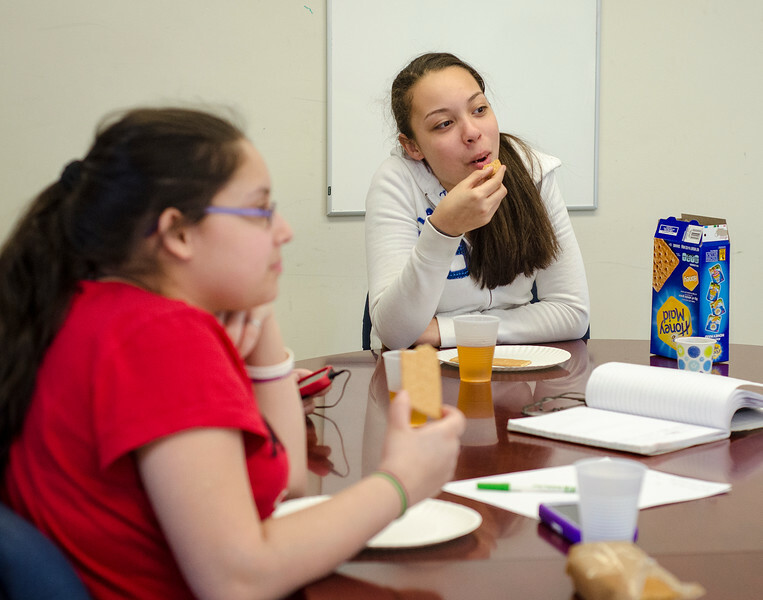 LEOMINSTER — For years, the Spanish American Center has been a resource for empty stomachs in the city and beyond, but a new initiative has bolstered center’s ability to feed hungry students. 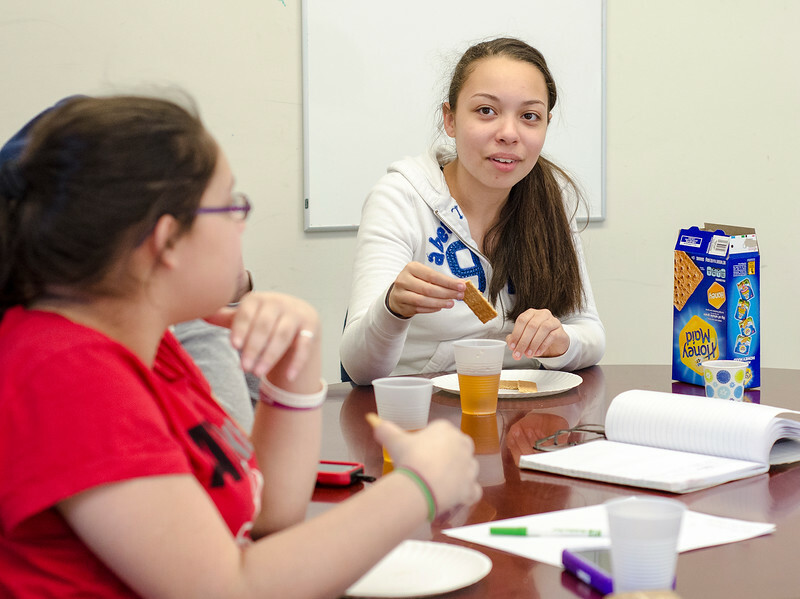 Partnering with the Department of Education’s Child and Adult Care Food Program, the center has been able to offer free after-school meals to local students Wednesdays and Thursdays each week. 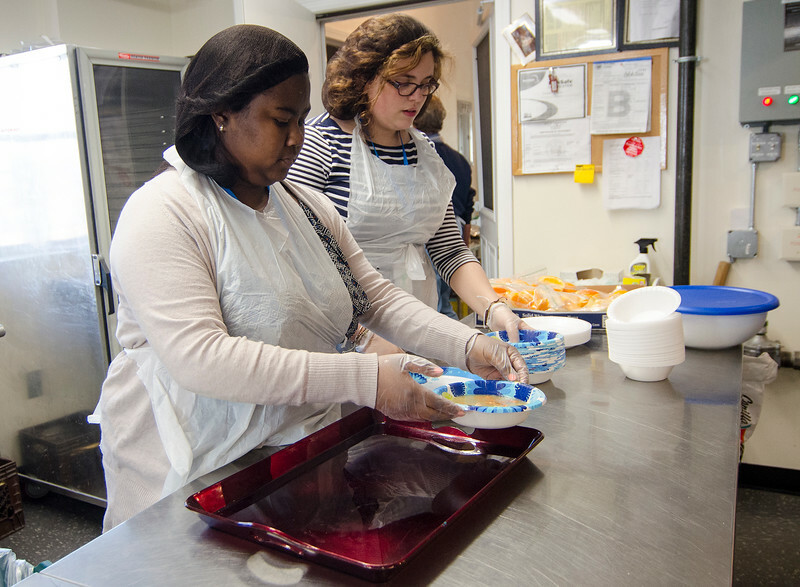 Since it began March 21, the meal program has been offering dinners and snacks at four sites in Leominster and Fitchburg, and the center is expanding to three more. As of Wednesday, O’Brien estimated that as many as 150 children are being fed through the center’s new program. Latimer said the students’ ages vary. “It could be middle school students at age 11 to ones that could be as old as 18,” she said. 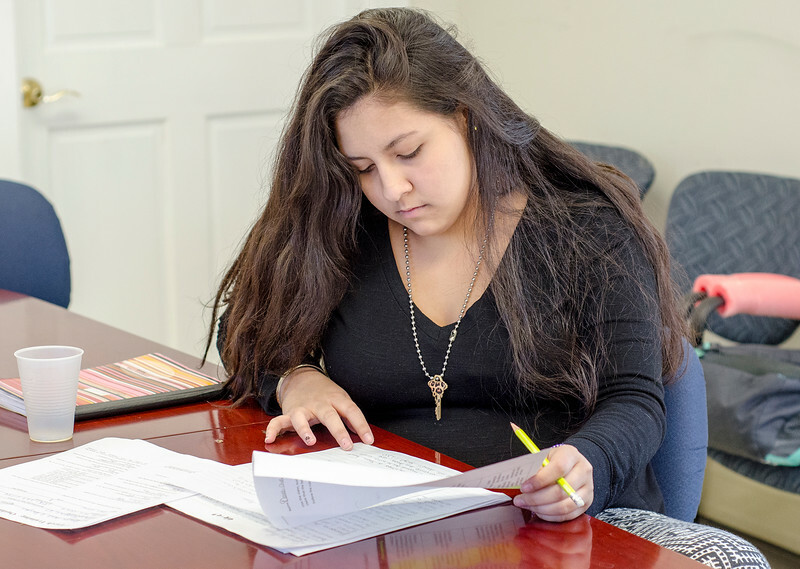 The two days a week that meals are served to students by the Spanish American Center also coincides with the same two days the center holds an after-school program intended to prepare high school students for their lives after graduation. 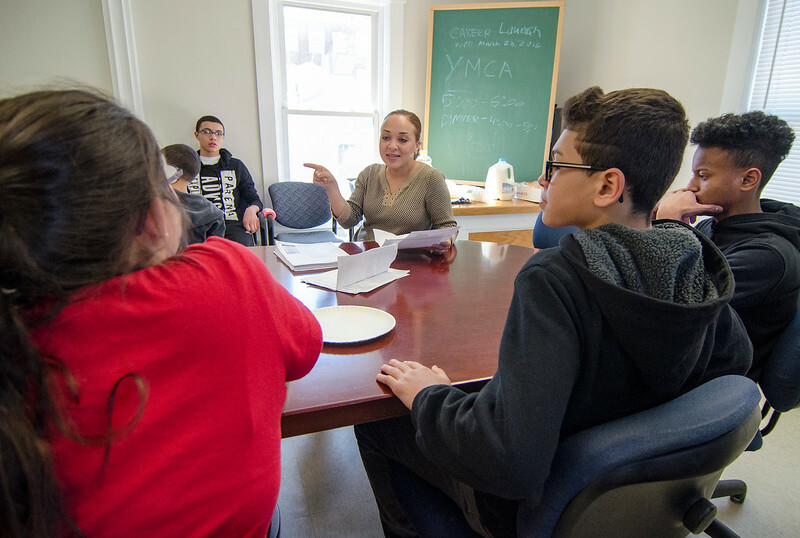 “The hope is that they come for the meal but stay for the other resources we offer,” said Christina Gonzalez, a center volunteer who coordinates the after-school programs. Aside from being served meals, the students coming to the center are also able to take part in leadership workshops and career planning. “It’s important because we need to know how to present ourselves in front of a future boss if we want a job,” said 13-year-old Sky View Middle School student Devee-Ana Douglas, who takes part in the program with her two sisters. 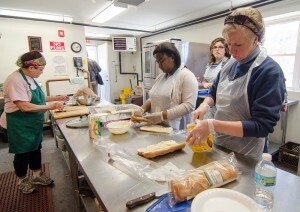 A soup kitchen offered by the center in partnership with Ginny’s Helping Hands from 4 -5 p.m. Wednesdays and Thursdays has also grown since it started in January. According to Latimer, the soup kitchen averages as many as 25 meals served on a given day.